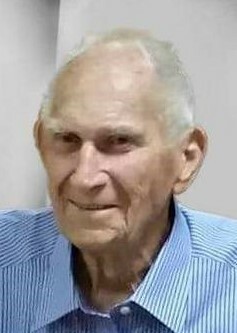 Kenneth H. Brown, 94, of Jerome, Idaho passed away February 2, 2019. Growing up, Ken’s family called him Bud. He was born in Broken Arrow, OK on July 18, 1924 to Josiah Harlan Brown and Clare August Weare Brown. The Brown family moved to Kansas and worked in mining, building and farming. Ken’s father’s education is documented as having only completed the third grade, whereas he finished the 7th; but his God-given wisdom and self-gained knowledge far exceeded those years of formal education. 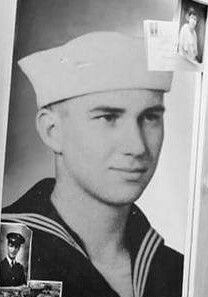 Ken joined the Navy in 1942 and served as a Navy Diver on the U.S.S. Hissem DE/DER400. His service included both WWII and Korean wars. Ken was married to Muriel J Brown for 39 years until her passing of Alzheimer’s Disease in December 2006. Together they devotedly raised five children and were the proud grandparents of nine. Ken took pride in providing for his family by working in building and farming. They started their family in CA and moved to UT, MT and then ID in 1980. He was known for being able to fix just about anything and creating new things out of old. He worked several years on remodeling the Twin Falls Hospital. He had an endearing dry sense of humor, enjoyed old western movies, working in his workshop, sharing stories from his Navy days, hunting and fishing, spending time with his family and eating good Mexican food. Ken’s children remember Christmas gifts he made from scratch such as doll cradles, high chairs, a ping pong table, picnic table, chairs and more. Each were custom designed, painted and lovingly created with an extra bell or whistle that a store-bought version wouldn’t have. He enjoyed working in his workshop, climbing ladders (ignoring the advice of friends and family not to do so), repairing and creating things up until the day before God called him home. A Celebration of Ken’s Life will be held at 1:00 pm, Friday, February 15, 2019 at Farnsworth Mortuary, 1343 S Lincoln Ave, Jerome. A graveside service with Military Honors will follow at the Jerome Cemetery.